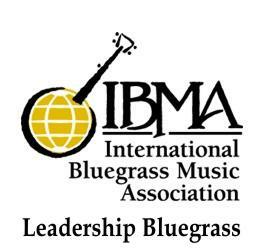 Leadership Bluegrass is a program of the International Bluegrass Music Association. IBMA is the trade association that connects and educates bluegrass professionals, empowers the bluegrass community and encourages worldwide appreciation of bluegrass music of yesterday, today and tomorrow. Each year, participants are selected through a highly competitive application process and are a cross-section of current and future leaders from all areas of the industry, coming from various regions of the U.S. and the world. Leadership Bluegrass 2018 takes place March 5-7 at BMI in Nashville. The course will be facilitated by Trisha Tubbs for the seventh consecutive year. Leadership Bluegrass is made possible through the generous support of its Platinum Sponsors, including BMI, the Bluegrass Heritage Foundation, Williams Mullen, and the Wintergrass Music Festival (Acoustic Sound). For more information about this program and the IBMA, visit www.ibma.org .